David’s clients benefit from his more than thirty years of financial consulting experience and his ability to help them solve complicated financial problems with innovative and customized solutions. David works with individuals, families, business owners and professionals. Having worked with such a diverse client base for so many years, he brings an educated perspective to estate, pension, business continuation, executive compensation strategies, and employee benefit programs. David is a Life and Qualifying Member of Million Dollar Round Table (MDRT) as well as founder and first president of the Business Network International in Bloomington. Always concerned with giving something back to the community, he served on the board of the College of Business at Illinois State University and was a member of the Governing Board for the Illinois Symphony Orchestra. He is also a past president for Bloomington’s Optimist Club and was President of the Year, State of Illinois in 1999-2000. He was also named a 2015 Five Star Chicago Wealth Manager by Five Star Professional. David was President of the Board for the American Marketing Association (2009-10) and also a member of the Bloomington-Normal Human Resource Council. He served as the Chairman for the Heart Walk Committee for the American Heart Association in 2009. A prolific writer, David has been published in many local industry publications with articles about financial planning and other investment issues. 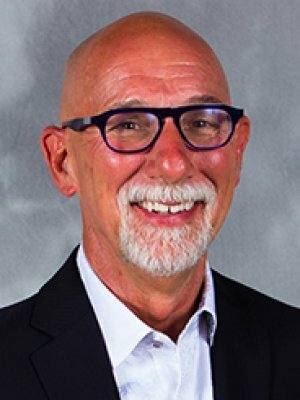 David also teaches as an adjunct professor at Illinois State University College of Business and at Millikin University, Department of Speech Communications. David lives in Bloomington, Illinois, and has two daughters and two grandsons. In his free time he enjoys traveling, golfing, collecting art, reading non-fiction, cycling, and doing charitable community work. Education: B.A., English/Speech, University of Northern Iowa, 1973; M.A., Rhetorical Communication, University of Iowa, 1979; graduate, Purdue College of Management; graduate, Leadership Forum, American College, Bryn Mawr. Credentials: Registered Representative and Investment Advisor Representative of Securian Financial Services, Inc., series 7, 65 and 24 registrations, among others, Retirement Income Certified Professional® (RICP®), Accredited Investment Fiduciary (AIF®), Chartered Life Underwriter® (CLU®), Chartered Financial Consultant® (ChFC®), Certified Funds Specialist (CFS), and Certified in Long-Term Care (CLTC). The Five Star Wealth Manager award, administered by Crescendo Business Services, LLC (dba Five Star Professional), is based on 10 objective criteria: 1. Credentialed as an investment advisory representative (IAR) or a registered investment advisor; 2. Actively employed as a credentialed professional in the financial services industry for a minimum of five years; 3. Favorable regulatory and customer dispute history review*; 4. Fulfilled their firm review based on internal firm standards; 5. Accepting new clients; 6. One-year client retention rate; 7. Five-year client retention rate; 8. Non-institutionalized discretionary and/or non-discretionary client assets administered; 9. Number of client households served; 10. Educational and professional designations. Wealth managers do not pay a fee to be considered or awarded. Once awarded, wealth managers may opt to purchase additional profile ad space or related award promotional products. The award methodology does not evaluate the quality of services provided. The award is not indicative of the award winner’s future performance. *To qualify as having a favorable regulatory and customer dispute history for this award, the person cannot have (1) been subject to a regulatory action that resulted in a license being suspended or revoked, or payment of a fine, (2) had more than a total of three customer disputes filed against them (settled or pending) with any regulatory authority or Five Star Professional’s consumer dispute process, (3) individually contributed to a financial settlement of a customer dispute filed with a regulatory authority, (4) filed for bankruptcy, or (5) been convicted of a felony.